Embedded with super strong magnets for holding screws, scissors and small tools. 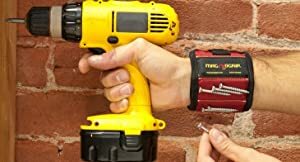 You will never lose your small screws again while making working with your projects! Made of durable 1680D ballistic polyester - long lasting product! One size fits all forearms - Anyone can use it! 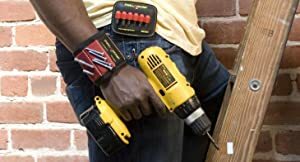 The magnetic wristband is designed for holding small items such as nails, screws, drill bits, nuts, bolts and fasteners!